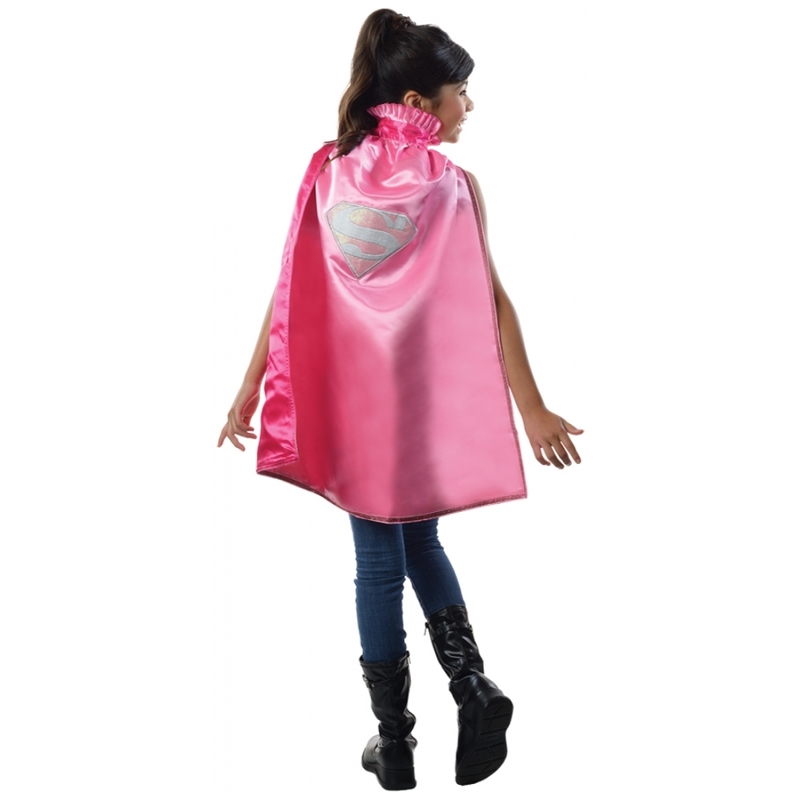 The perfect accessory for your child's Super girl costume! 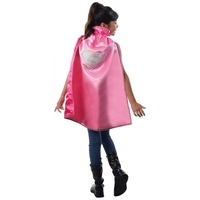 Pink cape with ruffled collar, sparkling pink trim, white insignia, and dark pink lining. Cape fastens at the neck with velcro. One size fits most children. 100% polyester. Care instructions: Hand wash in cold water, dry flat. Do not bleach or iron.